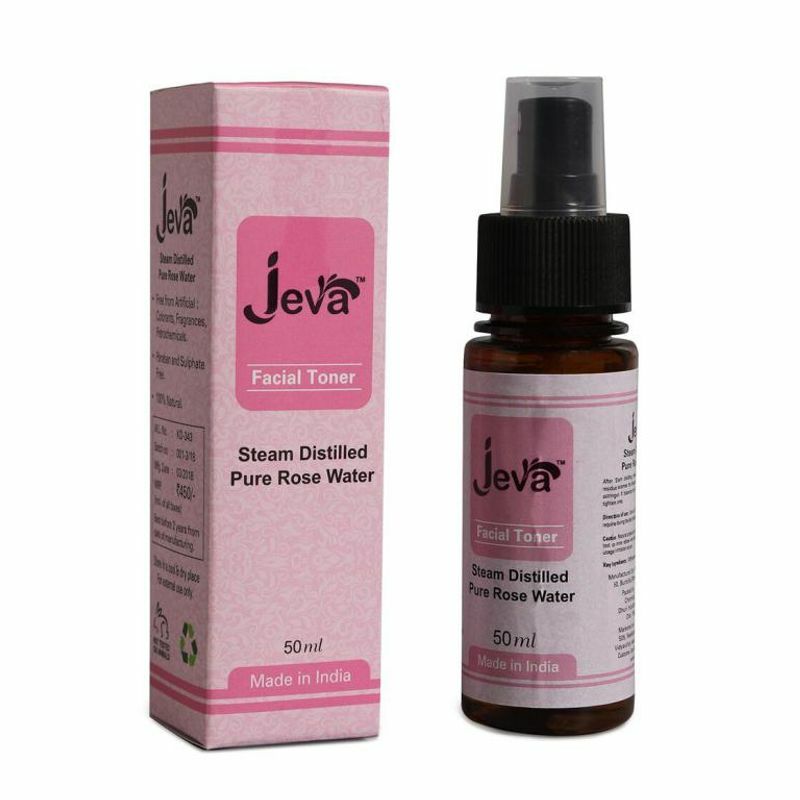 Jeva's finest quality Rose Water has properties of cooling, soothing and moisturizing the skin. Jeva's Pure Rose Water is made from the Best Roses in India. The steam water distillation process is used to create this wonderful Rose Water which ensures high level of hygiene and unmatched purity. Jeva's Rose Water is a natural astringent. It balances and restores skin's pH level and helps tighten pores. 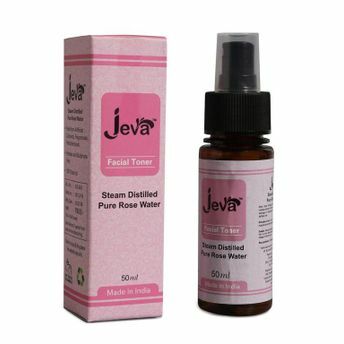 Jeva's Rose water is a good non-alcoholic toner and refresher that helps remove the residue of the previous cleansing procedures such as removal of makeup. It refines the pores and tones the skin making it ready for moisturizing treatment. Jeva's Rose Water can also be used as an Aftershave. Most aftershaves are primarily made of alcohol and perfume, they damage the skin by disturbing the recovery of the mantle, which is destroyed by shaving soap and razor blade use.Jeva's Rose Water soothes and calms the skin and can be used daily. Explore the entire range of Toners & Mists available on Nykaa. Shop more Jeva products here.You can browse through the complete world of Jeva Toners & Mists .